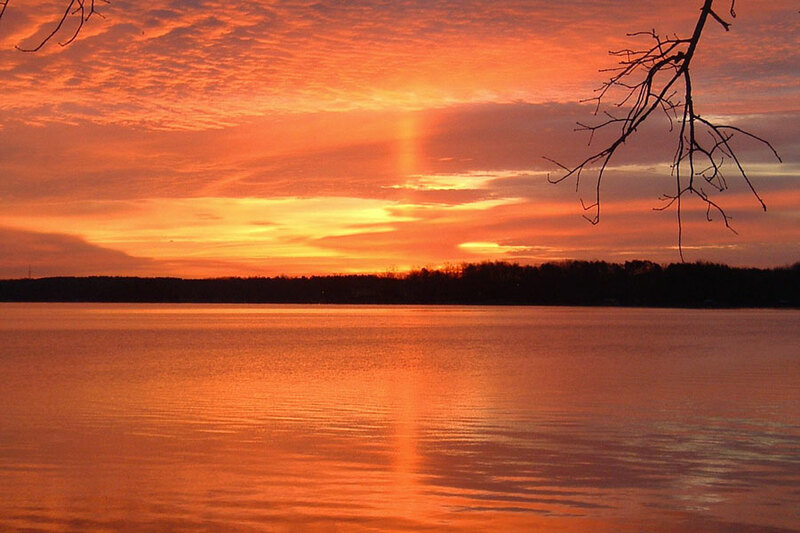 Explanation: Have you ever seen a sun pillar? When the air is cold and the Sun is rising or setting, falling ice crystals can reflect sunlight and create an unusual column of light. Ice sometimes forms flat, six-sided shaped crystals as it falls from high-level clouds. Air resistance causes these crystals to lie nearly flat much of the time as they flutter to the ground. Sunlight reflects off crystals that are properly aligned, creating the sun-pillar effect. 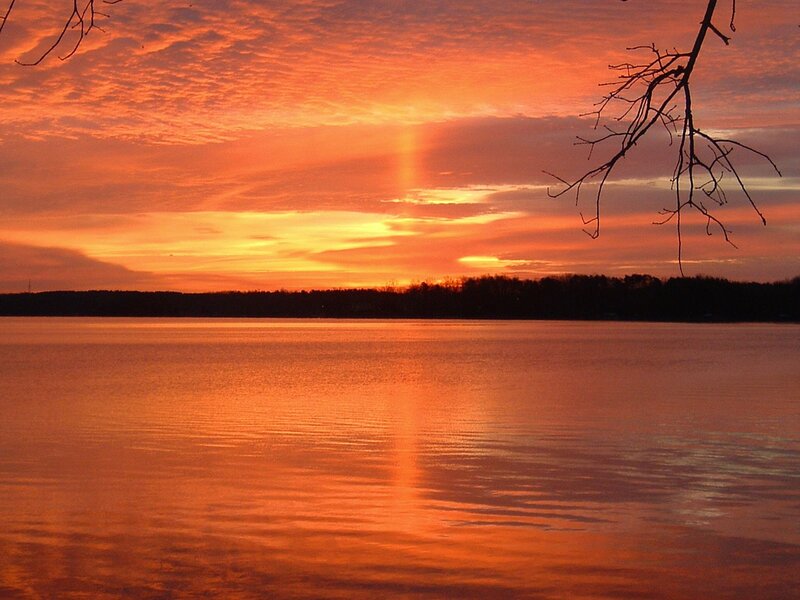 In the above picture taken in 2007 January, a sun-pillar reflects light from a Sun setting over Lake Norman, North Carolina, USA.